My favorite part of summer is being able to grill and have fresh herbs growing in pots on my patio. At the end of the season, I am sad to see them go. I use them almost everyday, finding some way to use them in my daily cooking. These seem to do very well all summer. (My cilantro always dies since it hates the NJ humidity). Here is a great way to use your fresh herbs for chicken on the grill. In a shallow bowl, combine your herbs with lemon zest and olive oil. 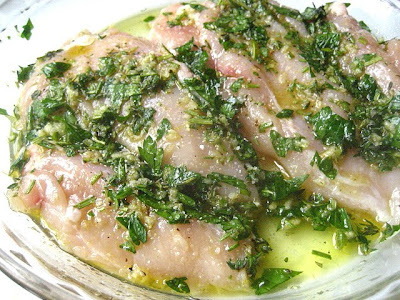 Lay the chicken breasts in this mixture and coat with lemon juice and olive oil. Sprinkle w/ kosher salt & pepper and let marinate at least an hour. The longer the chicken sits in this, the better it will taste. Prepare your grill or grill pan and cook the breasts until done (about 12 minutes total, depending on the thickness). Let the breasts rest a few minutes so the juices redistribute. 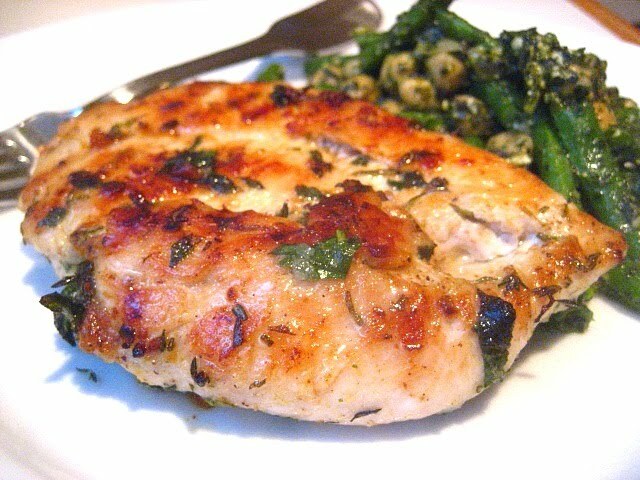 This makes a moist and flavorful chicken breast. I noticed my cilantro dies easily too. 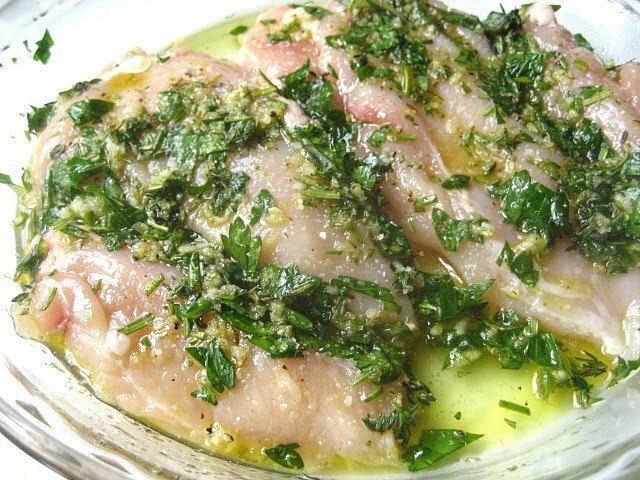 I love grilling chicken w/ fresh herbs. My basil is doing great and doesn't seem to mind our crazy heat so long as I water it every day. But, for some reason, I have no luck with thyme. 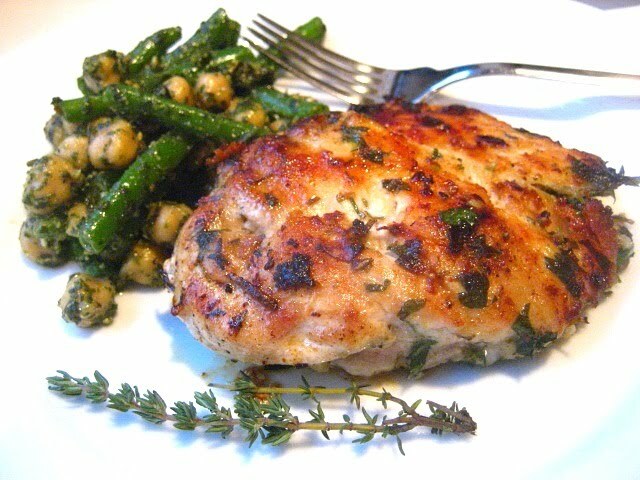 The mix of herbs looks great on grilled chicken! Stacey, that looks delicious! So simple and basic. I am going to make this soon, thanks for the inspiration. 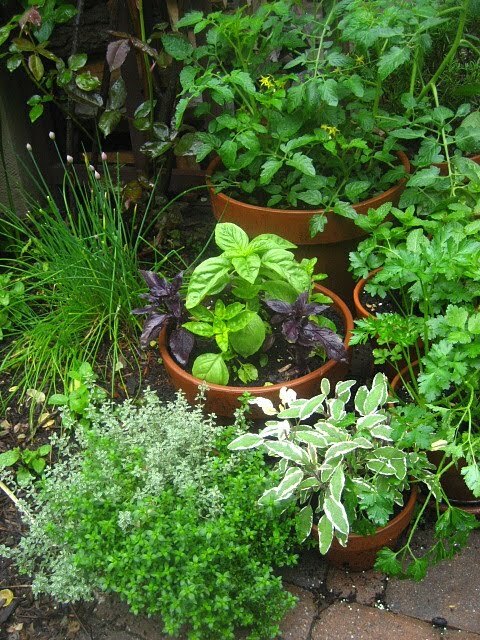 Great use of your beautiful herbs! I'm with you, I will be really sad when summer is over and I can no longer pick my own herbs and I have to pay $4.00 for a package of fresh basil! 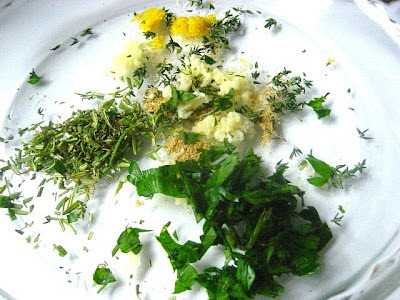 I too will miss all these fresh garden herbs when winter comes - but I am still able to harvest the oregano and sage long into winter and the thyme even longer, as long as it's not buried by snow. I bring my rosemary indoors in a cold room and have kept it going for about four or five years now. It's the broad-leaf herbs that I miss the most like basil, parsley, chives and mint, since they die back at the first hint of frost. But I've always got pesto in the freezer and freeze-dried herbs too. That looks so fresh & summery! Looks just fantastic! My herbs are huge now too and I use them constantly, LOVE this recipe! Now I don't feel bad that my cilantro died on windowsill! this looks like a great use for those herbs! The heat got the dill and cilantro. Made this last night - mainly with basil and rosemary. I thought it was great!